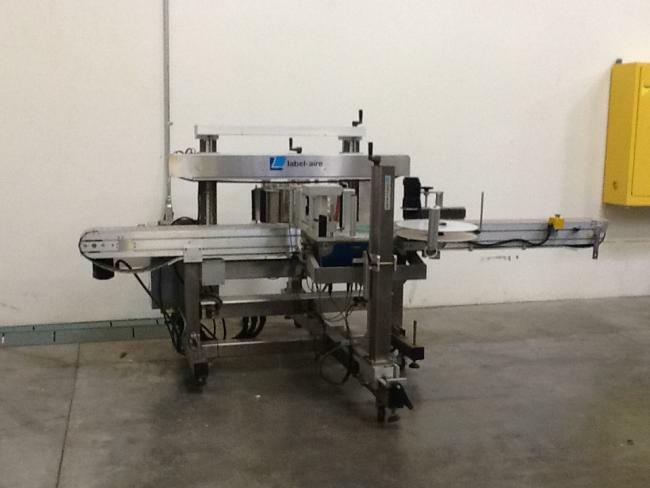 Used in like new condition Labelaire 6000N inline labeling system for sale!!! 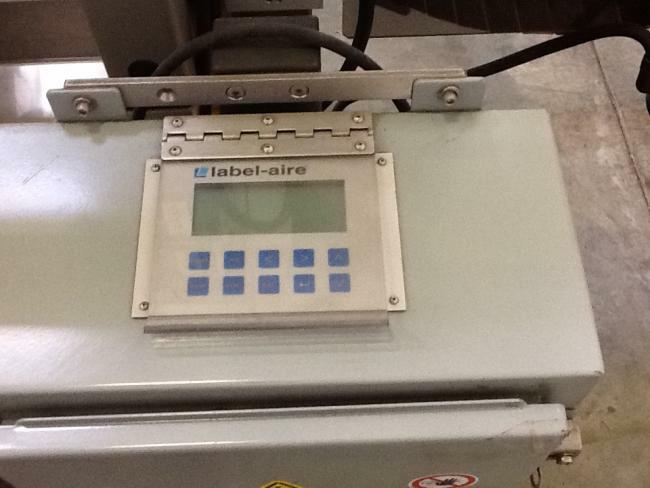 This system as purchsaaed new in 2011 and never used in production. It comes complete with all manuals, CD's, and drawings. 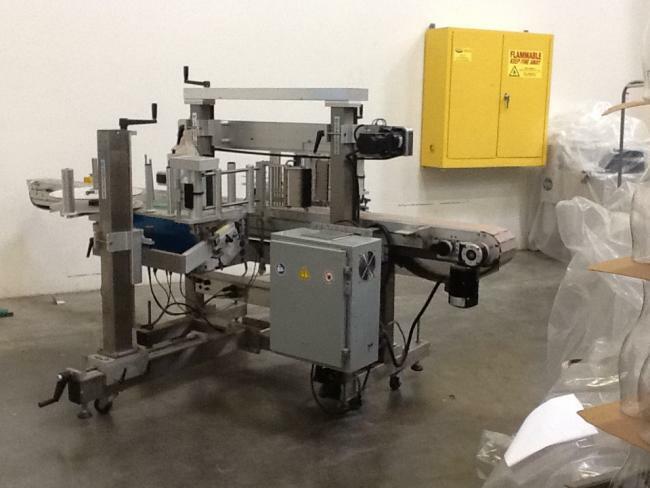 Like New, Never Used Model 6000N inline labeling system; 6” wide x 10’long table top chain conveyor; includes variable frequency drive up to 1200”; Extruded aluminum side frames; Automatic speed following (ASF) for product surface profiling; adjustable guide rails; product sensor mounting bracket; stainless steel labeler support columns (standard) with vertical/horizontal gib slides and tilt adjustment; heavy duty welded stainless steel frame (standard) with locking casters and leveling pads. 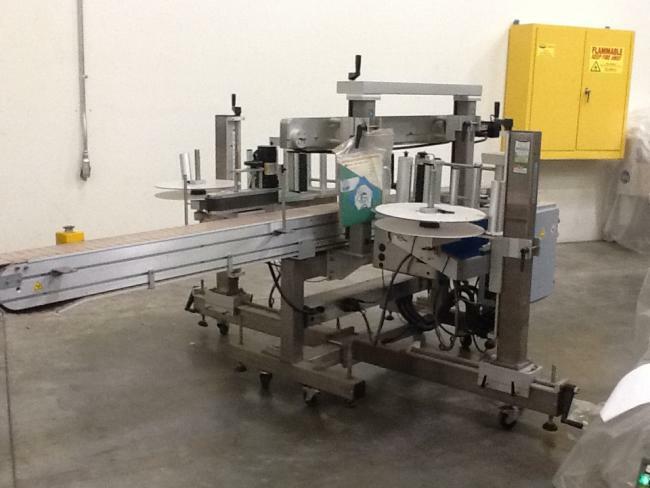 2 Model 3115NV-7” wide "Wipe-On" labelers with 1500"/minute stepper motor dispense; brush wipe-downs; LCD digital operator interface displays with detailed error readouts; storage of multiple label/product setups; automatic label calibration; photo-electric product and label sensors; missing label on web compensation; automatic speed following software; microprocessor electronics; 16” non- powered unwind units; and U-Arm mounting bracket with micro skew adjustment. 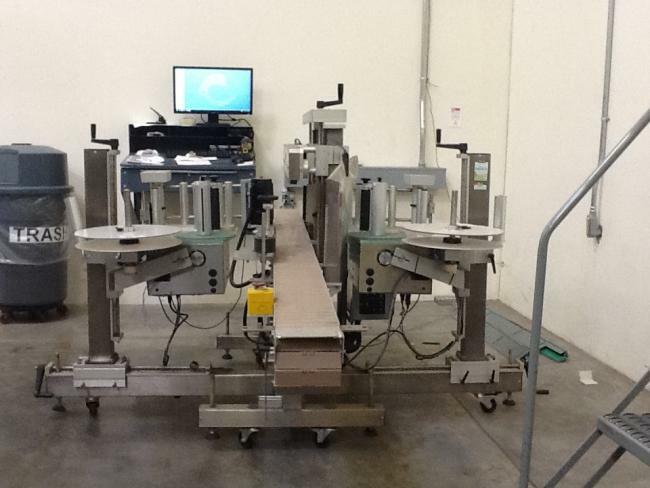 50” top hold down assembly for product stabilization during labeling. Purchased to run dairy containers.